Although this NAS Ottumwa alumni is best known as one of the original seven astronauts and the second American to orbit the earth he is also an engineer, test pilot and aquanaut. Scott authored the book, "For Spacious Skies". Walt Cunningham (Creston, Iowa) astronaut, fighter pilot, Col. USMCR-Retired, physicist, entrepreneur, venture capitalist, author and radio talk show host. May 25, 1961 John F. Kennedy in a special address to congress challenged the U.S. to: ".....I believe that this nation should commit itself to achieving the goal, before this decade is out, of landing a man on the Moon and returning him safely to the Earth." 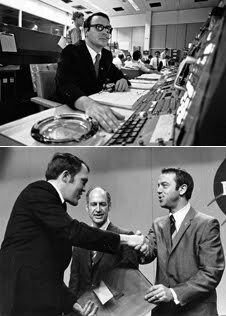 After the tragic fire of Apollo 1 many folks worried that we had not only lost Apollo 1 and it's crew but we had lost the race to the moon as well. Walt was part of the crew that flew the first Apollo mission. 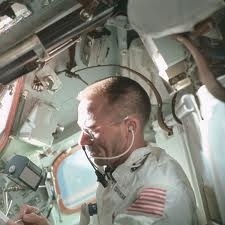 Apollo 7 placed us back on track to achieving J.F.K. 's challenge to this nation. Walt's landmark book "The All American-Boys" is a must read! Born in Omaha, Nebraska this Iowa State alumni spend 5 months aboard the International Space Station (ISS) as a member of the Expedition 15 crew. He spend 18 hours in space walks during this stay. 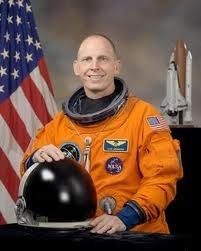 He launched aboard STS-117 and returned to earth on STS-120. Clayton returned to space aboard Space Shuttle Discovery on STS-131for resupply mission. David was born in Clinton, Iowa but considers DeWitt, Iowa home. A veteran of four space flights. STS-51J, STS-26, STS-36 and STS-42. David has logged 493 hours in space. 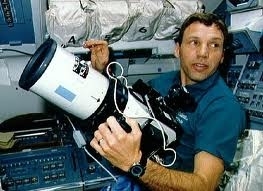 This Astronaut from Burlington, Iowa flew on Shuttle missions STS-102 and STS-114 logging 641 hours in space. Born in Ames, Iowa Laurel was tragically lost when the space Shuttle Columbia disintegrated 16 minutes before landing. Born in Mt. Ayr, hometown is Beaconsfield, Iowa. Flew aboard STS-111 to the international space station (Expedition 5) and returned on STS-113. She stayed 184 days, 22 hours and 14 minutes in space. Launched as part of of the Expedition 16 crew to the international Space Station in a Soyuz TMA-11 spacecraft. Steve Bales was born in Ottumwa, Iowa. Steve found himself on point when Apollo 11 landed on the moon. During the Lunar Lander's moon landing Steve and his team handed the numerous alarms that could have resulted in an abort. We will continue to add to and expand this section!